TNP made their last post in this game. False,my last post is in here because I posted here now! TNP spends more time looking at Other Forum Games than any other category. False, but bakeria is my fav gameria but pies irl..nah. Don't know. Not eat it. But true. 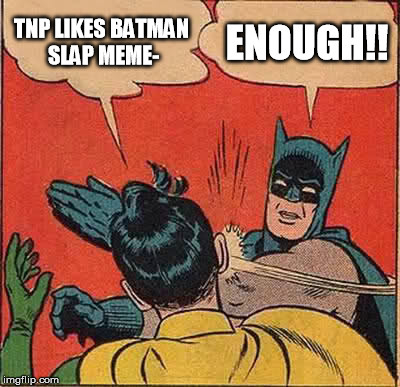 TNP likes batman slap meme- Enough!! !